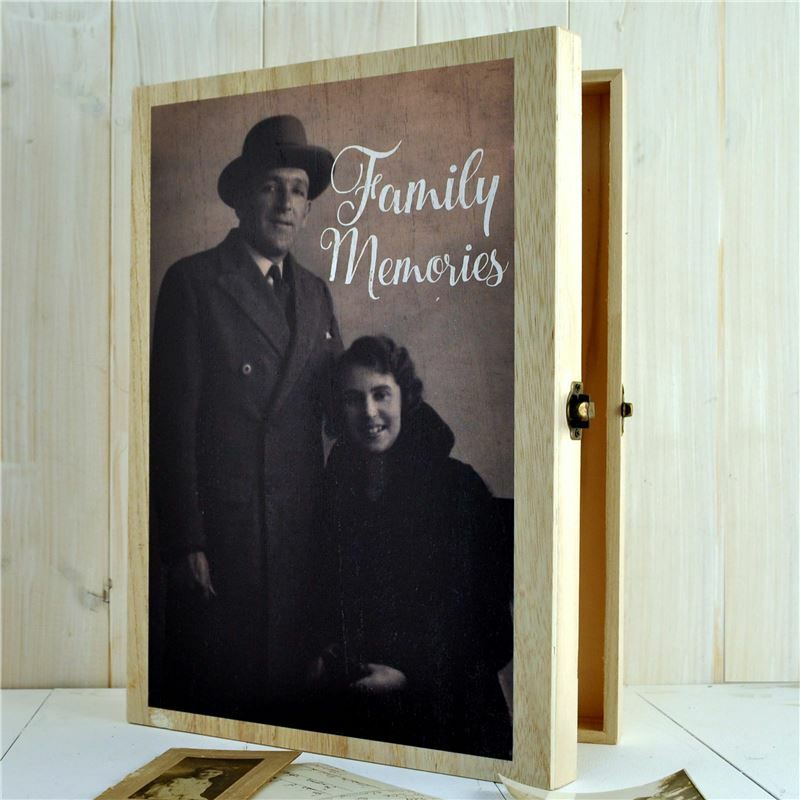 A personalised box for you keep all your family memorabilia in. This one features my grandparents but you can send us any JPEG and it can be printed on the box. Boxes are A4 in size so art work will be cropped to fit that dimension. Please email all art work to customerservices@angelichen.com after you have placed your order Remember to say if you need the wording changed. Modern art work can be produced in sepia tones if you wish. Our products are tested on frends and family and this is going to be my mothers day present to my Mother in Rhandirmwyn. She always says 'Don't buy me anything now' at almost every birhday, mothers day .Christmas etc. I'll keep you posted how I get on!.